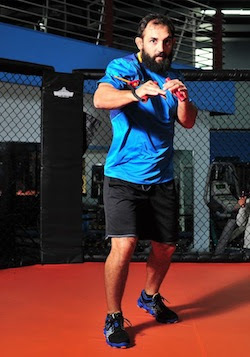 Join us on March 6th at 9:00pm EST, when Reebok hosts Johny 'Big Rig' Hendricks on Twitter to discuss training, diets, his upcoming welterweight title grab and opponent, Robbie Lawler. An exciting time for Hendricks as he challenges MMA veteran Lawler for the recently vacated welterweight title, this is one discussion you will not want to miss. To join the discussion, log on to Twitter on March 6th at 9:00pm EST and follow #LIVEWITHFIRE.